The prospect of going bald is incredibly difficult to overcome for most men. It can feel even harder in today’s image-driven world. 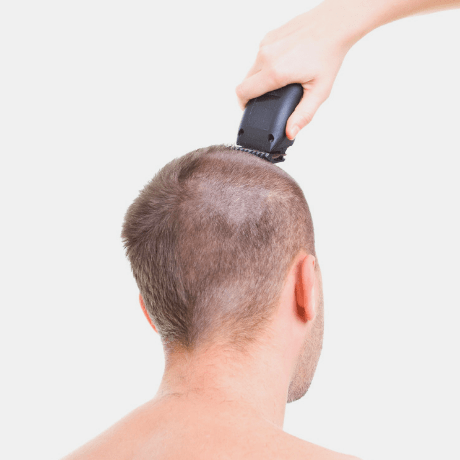 Losing your hair is usually a sign that you are getting older, although this is not always the case as it can start at any age. When you go bald it is such a noticeable change to your appearance it’s impossible not to feel at least a little self-conscious. John Travolta isn’t someone you would think of as bald. The Hollywood legend has always had a strong head of hair on and off screen. Well, until now that is. Despite having a full head of hair in December, he posted a picture on Instagram earlier this month showing off a completely bald head. Some people have speculated for years that Travolta has worn wigs. Although the actor hasn’t spoken about why he now has no hair, it has sparked a wider discussion about men embracing their baldness. Of course, when a star makes such a big change to their appearance, it naturally becomes big news. But what about the ordinary guy in the street? What is it like to shave off their hair and how does it make them feel? Whether you are losing your hair at a young age, or in your 40s or 50s, it takes a lot of getting used to. Very few men can embrace it immediately. Some go to extreme lengths to cover it up at huge expense. But you can’t fight your genes and the sooner you can accept it, the better you will feel about yourself. The first step to embracing your hair loss comes from shaving it off. Once you can find the courage to go through with it, you’ll be surprised how quickly you adjust. No-one wants to go through life trying to hide something about their appearance. But once it’s out in the open you don’t have to stress anymore about ‘being discovered’. You can finally relax and gain some confidence that this is who you are. Most importantly, all of those fears about how people will look at you often prove to wrong. After an initial surprised reaction, everyone else will get on with their lives, and so can you. Of course, there are some men who feel comfortable with shaving their remaining hair off. Not every guy feels there is a taboo about being bald. They can serve as an inspiration for others who are a bit more hesitant. Not everyone can have the same jawline or good looks as John Travolta. But at the same time, that shouldn’t mean having to hide your baldness from the world. 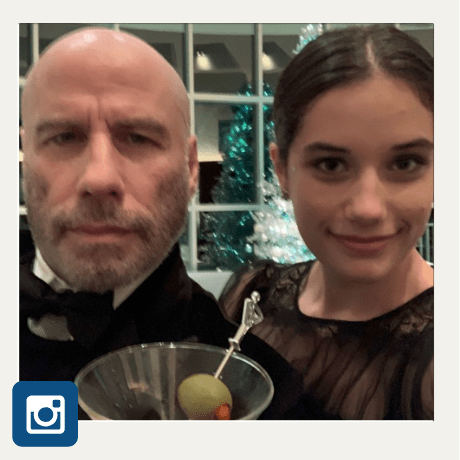 As the john travolta goes bald viral instagram post shows, people just love the shaved head look! “Bald is really, really beautiful!” gushed one Instagram fan. And remember, there are alternatives that provide the perfect middle ground. Our own scalp micropigmentation (SMP) solution gives you the perfect shaved look, without feeling your head is completely exposed. Not only is SMP cost effective, it lasts for years and is a non-invasive procedure. We’ll create a prefect hairline for you to match any style or hair colour you want. If you aren’t ready to go fully bald just yet, scalp micropigmentation could be the solution you are looking for.